Classics new and old to brighten up your bookshelf, full of timeless magic to warm the cockles of your heart. Cheeky chuckles, cosy cuddles and plenty of surprises: we promise that books don’t come better! There’s snuggle-up drama with the Owl Babies, and jumbo laughs with a family of elephants. 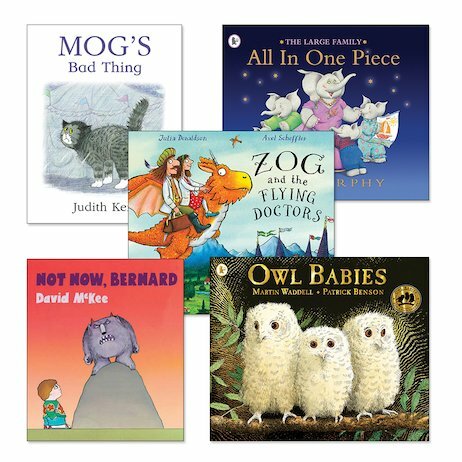 Plus lots of laughs with Mog the cat and Zog the high-flying dragon. Stories that have taught millions of children to love books. Tales that bring families closer together. Treasures for rainy days and for bedtimes. It’s simple: every little person should own these books!